OLEDs make it possible to create small (thin) displays, that are bright and power efficient. Such efficient small screens are perfect for wearable devices - such as smart watches. The first OLED watch we are aware of is the Citizen VIRT, released in June 2006 This watch had bluetooth connection, and was able to show caller ID. The displays is a small blue-colored PMOLED. Over the years, more companies released similar devices with PMOLED displays. Anlong released a MP4 watch - this one had a 1.5" OLED display (260K color, 128x128), and one could watch MP4 movies or JPEG images on the small display. The Epoq MP4 watch also had a 1.5" OLED and the diesel DZ7079 had a small OLED 'strip' to show the time. The APUS OLED Watches use blue, red or white PMOLEDs. They have sent us one for review in August 2010. The watches are available in Amazon.com. The Alpha Dark Force, shown below costs $129. Recent years saw a resurgence in smart watches, and newer generation ones tend to use higher-resolution and more advanced AMOLED displays. 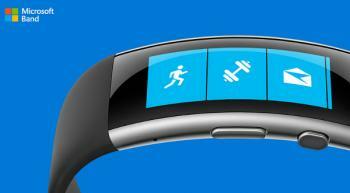 Many companies are now offering such smart watches - including Samsung, Microsoft, LG, ZTE and Asus. OLED makers offer several AMOLEDs for smart watch applications, from square 1.6" panels to fully circular AMOLEDs, 1.2" to 1.5" in size. Samsung's Gear S2 is a great example, The S2 is a Tizen-based that sports a 1.2" 360x360 (302 PPI) circular Super AMOLED display. Other features include a dual-core 1 Ghz CPU, 4GB of internal memory, several sensor and a 250 mAh battery (300 mAh on the 3G model). 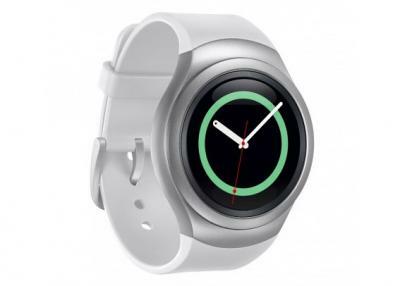 The Gear S2 is now shipping starting at $249. 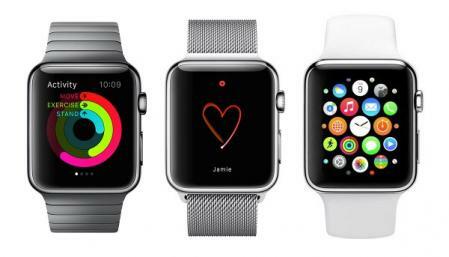 Apple's first wearable device, the Watch, is also the company's first product with an OLED display. It uses a flexible OLED panel produced by LG Display. There are several Watch models, some use a 38mm display (272x340, 290 PPI) and some a slightly larger 42 mm panel (312x390, 302 PPI). Apple refers to the display as a flexible Retina display. Besides the square flexible OLED, the Watch has a custom-designed Apple S1 processor, 8GB of storage, NFC, Wi-Fi, Bluetooth, three sensors (Accelerometer, gyroscope and heart rate monitor) and the new Watch OS. There are several Watch editions, ranging from $349 to $17,000.